Want to jump right in? Here are some simple ways to get started doing the content you love ASAP. For starting out with some questing or soloing. 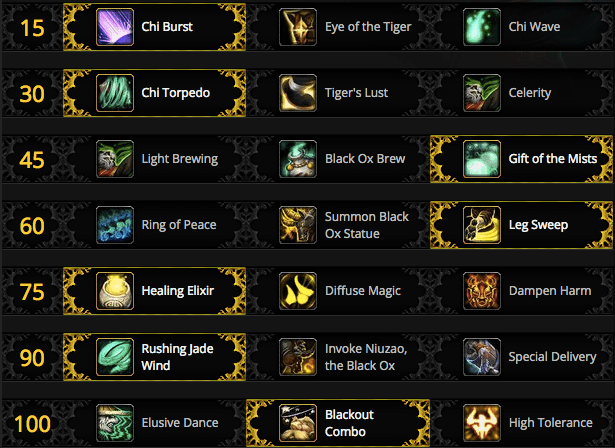 Talents choices for soloing are very flexible, but these are the ones I like for healing, movement, and damage. Initiate with Keg Smash, and follow that up with Breath of Fire. If there are other mobs you want to pull, drop Summon Black Ox Statue. Use Keg Smash on cooldown, and keep energy from maxing out with Tiger Palm. 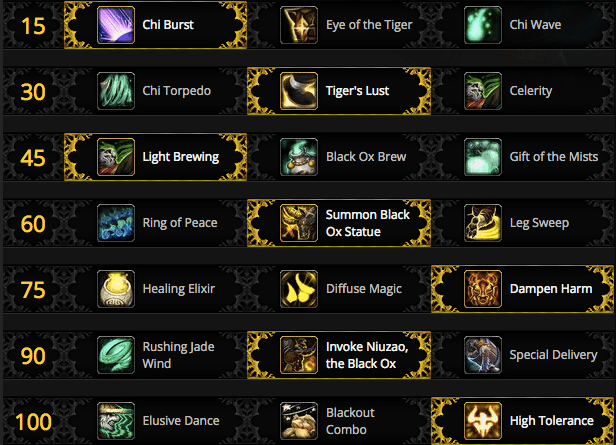 Fill empty spaces with Rushing Jade Wind, Breath of Fire, and Blackout Strike. Shuffle side-to-side to pick up Ox orbs if they are present to heal yourself. If they’re out of range, use Expel Harm to pick them up. Brewmasters are a breeze to keep alive in 5 mans, as long as they’re using their brews properly. They are also great at kiting and controlling melee enemies. Pull with Keg Smash, followed by Breath of Fire. Use Rushing Jade Wind to pick up any stragglers. Generate brews with Keg Smash and Tiger Palm. Use Breath of Fire and Rushing Jade Wind on cooldown to establish AoE threat. Fill empty spots in your rotation with Blackout Strike. Balance your use of Ironskin and Purifying Brew to keep damage intake manageable. Keep Ironskin Brew active as much as possible, while saving one or two brew charges for Purifying Brew should Stagger ever reach Moderate Stagger or Heavy Stagger. Fortifying Brew: Activate before an incoming attack, or to survive dangerously low health. Leg Sweep: Use to stun or interrupt a group in melee. Chi Burst: Use to pull a group at range or to heal yourself and others. 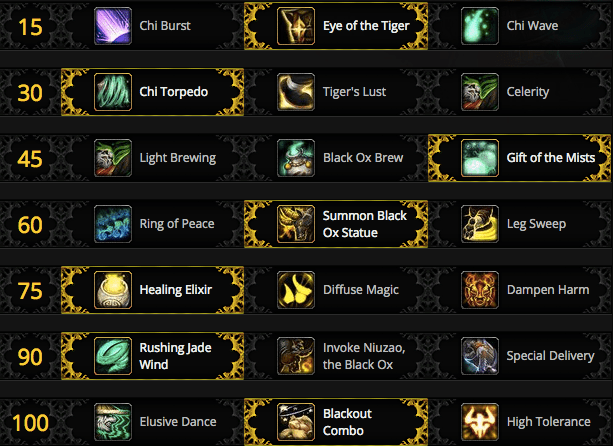 Raids tend to prefer damage smoothing and niche abilities, which Brewmasters can customize a great deal. This is just a starting point, and more difficult raiding content will require more custom builds. Pull with Keg Smash, followed by Breath of Fire. If there are other mobs you want to pull, drop Summon Black Ox Statue. Generate brews with Keg Smash and Tiger Palm. Fill empty spots in your rotation with Blackout Strike and Breath of Fire. Dampen Harm: Activate before large incoming attacks to moderately reduce the damage. 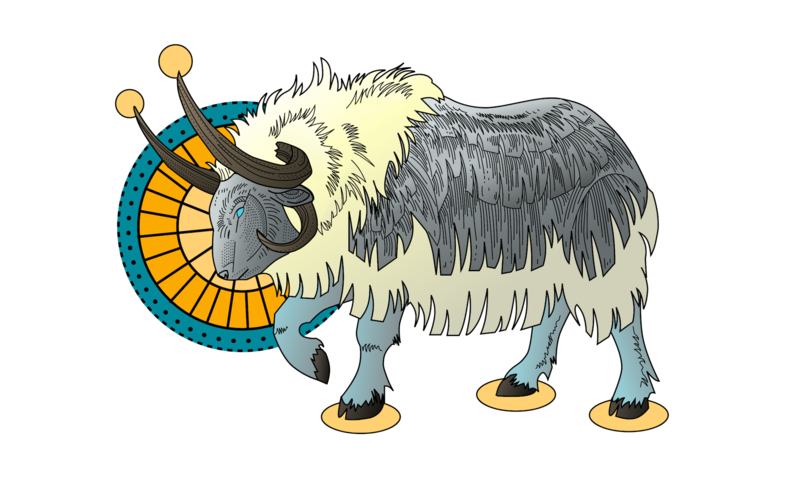 Invoke Niuzao, the Black Ox: Use offensively for burst AoE and cleave damage, or to tank non-boss enemies.